By: Harold G. Fravel Jr., Executive Director, American Membrane Technology Association (AMTA) and Karen Lindsey, Vice President, Avista Technologies, Inc. 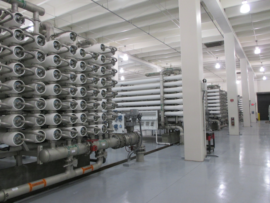 Unlike dead-head filtration characterized by a single flow in and out, both Reverse Osmosis (RO) and Nanofiltration (NF) technologies are unique in that they produce two effluent streams, a lower TDS (Total Dissolved Solids) permeate and a higher TDS concentrate. While the goal of most RO and NF applications is to achieve a targeted water quality in the permeate stream, there are a variety of specialized industries that rely on membranes to isolate a valued component in the concentrate stream, such as maple sap extraction. Regardless of which process applies, there is always some resulting volume of water that must now be disposed of or dealt with in some potentially costly or highly regulated manner. Most modern brackish water RO and NF systems have a design permeate recovery of 75% to 85%, meaning that every 1,000 gallons of feed water will produce 750 to 850 gallons of permeate water and 150 – 250 gallons of concentrate (reject) water. The resulting concentrate stream will contain the same constituents found in the original feed stream, including any chemical additives for pH or scale control, at higher concentrations factorable by the recovery percentage. The pH values of the concentrate and permeate may differ from the feed value based on the membranes effectiveness in rejecting bicarbonate, sulfate, and other ions and due to any acids or bases that are added to the feed. One common challenge for all RO and NF operators is what to do with the concentrate water produced by the system. The reject stream is commonly viewed as a potentially costly waste that must be disposed of in some manner. The least expensive option is to return it to a surface water with a sufficient mixing zone. Some facilities have the luxury of securing permits to discharge their effluent into downstream lakes or rivers, however, permits like these are getting harder to renew as regulatory agencies enforce more restrictive guidelines related to the effects of salinity on downstream indigenous lifeforms. Because the concentrate contains higher TDS levels then the feed and may have a different pH value, many operators find it impossible to simply return it to the original feed source. In some cases, it’s cost effective to route the concentrate to a waste water treatment plant (WWTP). However, concerns regarding salinity and ionic balance may need to be addressed since the WWTP effluent is usually discharged to a surface water. Discharging concentrate into salt marshes or wetlands specifically created for that purpose has also been employed, but a variety of special circumstances may be needed to justify this as a viable option. Deep well injection has been used for concentrate disposal, but this can be expensive in both capital and operating expenses. Evaporation ponds are effective, but typically require a large footprint and have a variety of unique challenges of their own. Some utilities actively target a system recovery rate that will result in a specific concentrate TDS that can then be blended with a reuse water. In some cases, that recovery may be lower than plant design, but the resulting discharge option is cost effective or provides a ready disposal alternative that could not otherwise be achieved. When the concentrate is added to the overall quantity of reuse water sold by the utility, it can actually generate revenue for the membrane plant. Rather than accept minimal system recovery rates, a few innovative facilities have investigated a variety of options to treat the concentrate and recover more water from their process. At 80% recovery, the ppm of dissolved solids in the concentrate is five times higher than in the feed and the resulting increase in osmotic strength may be suitable for secondary membrane treatment. Feeding an additional RO train with first pass concentrate water can increase overall permeate volume and further reduce concentrate volumes. The secondary train will be smaller than the primary system since its capacity is limited to the first pass concentrate flow rate. Depending on the characteristics of the secondary feed water, the second pass system may contain membrane elements that are different from those installed in the first pass system. Seawater (SW) membranes may be required if the osmotic pressure of the first pass concentrate warrants it and the system is running at higher feed pressures. These conditions may also require different tolerances for corrosivity and compatible materials of construction as it relates to pressure vessels, valves, piping and more. 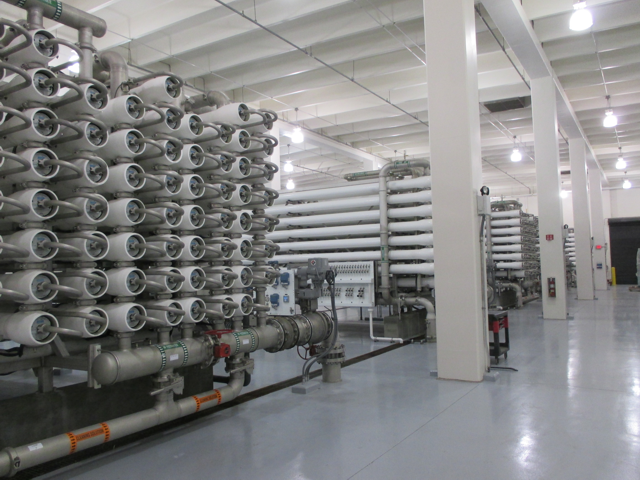 Likewise, an NF plant treating low TDS feedwater may apply a brackish water membrane to downstream secondary systems. In either case, the permeate produced from secondary trains can be blended with the first pass permeate, routed back to the main plant as feedwater to the first pass system, or used in some other on-site capacity including irrigation or dust control. A smaller, separate train is added to further process concentrate. As water from these types of processes becomes increasingly concentrated, the reduced solubility of dissolved salts and solids creates increased risk of membrane scale and fouling. Several options can be used to mitigate and manage these issues. Precipitating calcium and magnesium between the two trains is an option as well as adding a scale inhibitor injection point to the secondary system feedwater. Regardless, the second pass system will likely require more frequent cleanings and suffer reduced membrane life as a result of the more challenging feed quality. 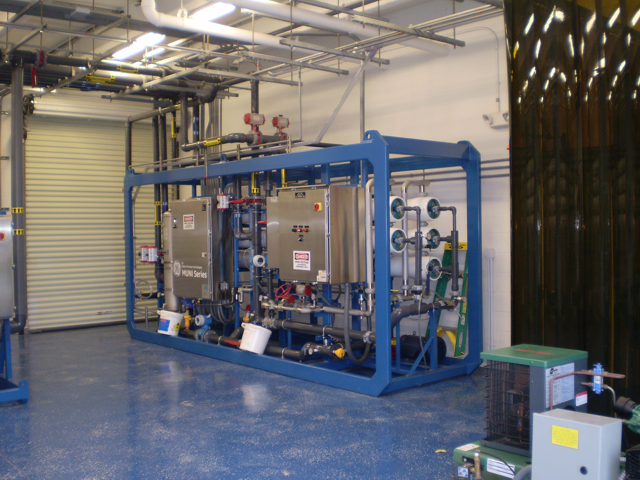 A variety of factors should be considered when evaluating the return on investment for second pass systems including the value of having increased permeate capacity and the cost reduction attributed to a lesser volume of concentrate vs the capital cost of the additional membrane system, maintenance costs for antiscalant and cleaning chemicals and expenses related to membrane replacement. There has been quite a bit of work done on the use of Electrodialysis Reversal (EDR) systems treating RO concentrate, coupled with gypsum precipitation, to achieve very high recovery rates. The progressive concept of Zero Liquid Discharge (ZLD) has also been around for some time and has been of particular interest to power plants and paper mills, giving them the option of treating or recycling waste streams within the facility and effectively eliminating the regulatory and financial challenges related to offsite liquid discharge. Recently the same ZLD goals have been applied to RO systems as facilities install the equipment necessary to realize this target. One membrane facility was forced to evaluate ZLD after receiving a notice that their surface water discharge permit would not be renewed. A ZLD process incorporated several technologies for them including; ion precipitation, ultrafiltration, and sludge dewatering and the recovered water was blended with their RO permeate. The resulting solid waste still had to be disposed of, but the reduced concentrate volume was significantly less than the initial 1.2 MGD that had previously been discharged into a canal. 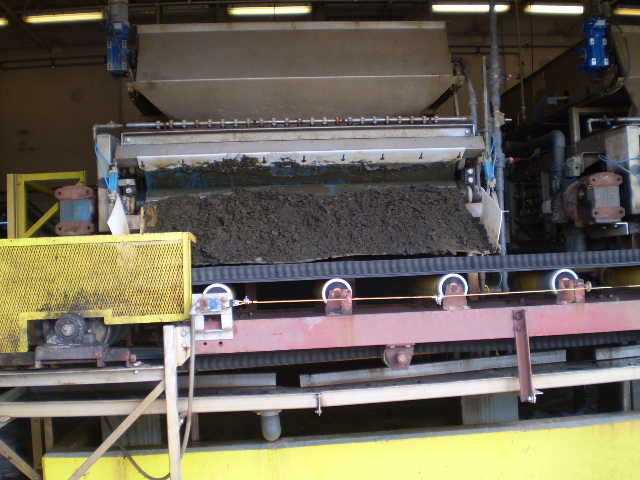 A ZLD system will generate some sludge that can go to a landfill. As with any plan to upgrade or expand capital equipment, the initial and on-going costs will influence the breadth of investment, though regulatory and environmental considerations may also force a particular direction and it’s comforting to know there are viable options. Changes related to satisfying discharge permits can effectively demand that a site consider additions or alternatives in water treatment. Since zero can be a very challenging number to achieve, sometimes the benefit versus reward is easier to justify when a number close to zero will suffice. An industry alternative to zero is starting to take hold and Minimal Liquid Discharge (MLD) is becoming a popular new nomenclature. With MLD, consideration is given to proven technologies, the capital and operating costs of implementing higher recovery operations, and the available outlets for recovered reject streams. In some cases, the lessor investment in equipment, operations, and disposal related to MLD makes more financial sense then the total cost of achieving zero liquid discharge. We’ve recently seen an industry shift related to waste waters, biosolid streams, and reject process streams, once considered waste steams to be discarded at a cost that are now being viewed as a nutrient source or a concentrated side stream that may actually generate revenue. Municipalities are finding innovative uses for the heat captured from waste water streams using heat exchangers. Recycled phosphorous and nitrogen from wastewaters can be applied as fertilizers and treated biosolids are being evaluated for use as landscape compost. The segregation of urine for nitrogen recovery is being investigated and there is a company actively assessing RO to recover salts from concentrate to produce a resale product. The City of El Paso recently signed a related contract, recovering salts using membrane technologies from concentrate that had been piped 26 miles from deep wells. These innovations transform a liability into an asset with real, redeemable value. While there is already a wide array of innovative reuse and disposal options for RO and NF concentrate waters, industry competition and regulatory constraints will continue to inspire visionary solutions that ultimately benefit of us all. Karen Lindsey is an Executive Member of the American Membrane Technology Association (AMTA) Board of Directors. She is the V.P. and co-founder of Avista Technologies and has 30 years’ experience in the water treatment industry, working with companies that cast cellulose acetate membrane, produced polyamide elements and formulated specialty chemicals.